Tier 3: Semi-Competitive non-Meta/Rogue decks. 1-2 tops. Specifically, includes decks that top small events or get lower rankings at medium events. Can also include decks that can potentially top but have not yet in a given format. The HERO archetype is split into 5 different sub-archetypes: Elemental HERO, Destiny HERO, Evil HERO, Masked HERO, and Vision HERO. They also have a supporting archetype in the form of Neo-Spacians. 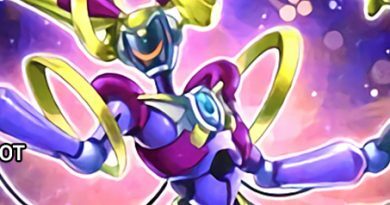 In terms of its relation to the meta, the deck has focused more on Masked HERO’s as their win condition utilizing various Elemental and Vision HERO as supporting cards. This is largely due to how Masked HERO’s are summoned from the Extra Deck in that they are transformed using “Change” cards. The “Change” cards used are Quick-Play allowing large versatility in terms of when to use them and they use only 1 material to summon a card which helps maintain plenty of resources. One of the most prevalent monsters used is Masked HERO Dark Law which is why many will refer to the deck as DarkLaw.dek. 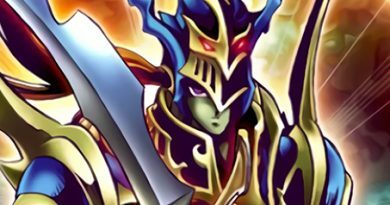 Dark Law may be one of the more prevalent monsters of the deck but there are still many other Masked Heroes in their arsenal to utilize in case Dark Law is targeted for Cherries. While they don’t match the control pacing of the deck there are other cards in the sideboard which can compensate in this area and the other forms of Masked Heros with the “Change” cards along with Honest Neos can facilitate some easy OTKs. Masked HEROs are placed in tier 3 as a turn 1 Dark Law can single-handedly cripple decks that rely on the GY. HERO variants not utilizing the “Change” cards will find themselves floating in Tier 4 as they are remnants of an older era of playing. There are many other decks focused on Fusion Summoning with stronger in archetype support nowadays. The ranking of Masked HERO, for the most part, are based primarily on how effective Dark Law is against the meta. Luckily it seems that Dark Law is always able to combat most decks as, unless the opponent has a board wipe or spot removal to deal with Dark Law, he can quite easily force a scoop. This is why a lot of people will run Dark Law as a Cherries target as they “respect” the potential threat that this deck can pose in the metagame. The deck still has a few other tricks up its sleeve, but Dark Law being the primary win condition of the deck leaves it open to being countered by specific hate cards. Built by Jean-Baptiste Aubut, this deck placed 20th at the Oct 2017 Montreal Canada Regional. You can see that he uses various methods of draw power and searching to run through his deck so much that it can be at 42 cards. Very much following the Y.O.L.O mentality in that it is either see the combo pieces or inevitably bust. It uses Radian, the Multidimensional Kaiju as a means of removal and a DARK target for Allure of Darkness. Destiny HERO – Malicious is also used as an Allure target, for Destiny Draw, and as a DARK HERO card for Mask Change. 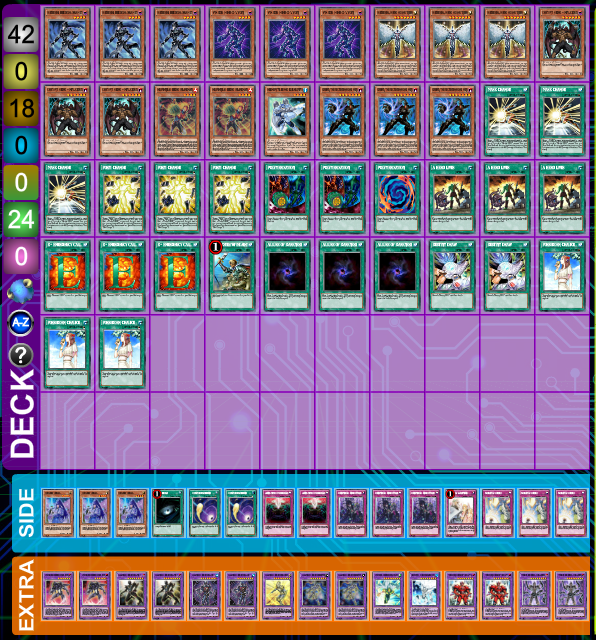 Maxing out on copies of Elemental HERO Honest Neos showcases his desires to potentially see multiple and run them into other opponent’s monsters for game. He also chose to have Form Change which cycles through the various copies of Masked HEROs as shown with his Extra Deck choices. This can OTK quite easily against an open board and is sometimes referred to as the “Justice League OTK”. This deck build is ideal if you would like to determine the game within your first few turns of playing. A build such as this can be stopped quickly by cards such Dimensional Barrier. However, because of its low representation in the meta, not a lot of people will be expecting the matchup giving it a surprise factor. 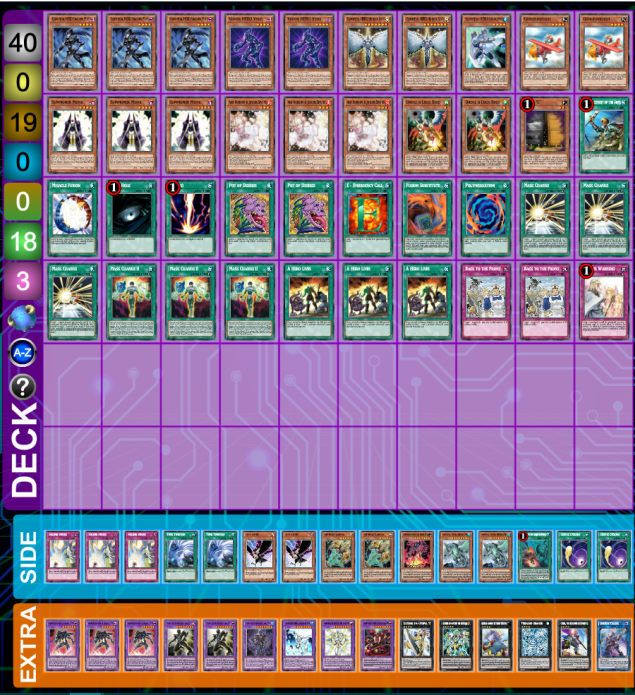 This is a deck build that topped when SPYRALs were at their peak performance before the banlist. This shows the strength of Dark Law against the SPYRAL meta. This is primarily due to its relatively low core card count giving it a lot of room for handtraps for disruption in addition to shutting down the GY with a single card. This build plays essentially 6 ways to Mask Change which is why 2 copies of Pot of Desires doesn’t hurt as the draw power makes it worth it and the chance of banishing every copy of a key combo piece is low. This is an extremely control oriented deck with Solemn Warning main decked and 3 copies of Solemn Strike sided. The person piloting the deck himself stated that against other cards such as Evenly Matched he just leaves Dark Law on the field and is still able to function pretty fine for the most part. He does, however, have Artifact Lancea sided as well. I must say that the D. D. Crow as a sideboard choice is interesting especially given that he could have made space for Ghost Ogre & Snow Rabbit but he was utilizing Crow to cripple the SPYRAL matchup. Masked HEROs sometimes run a way to fuse traditionally so that they can make Elemental HERO Absolute Zero transforming into Masked HERO Acid for an effective board wipe. Many decks will have a heavier focus on this part of the deck and may incorporate cards such as Miracle Fusion, Fusion Substitute, Elemental HERO Prisma, Vision HERO Vyon, or Elemental HERO Blazeman. It is a more “fun” style of playing as the players are able to use a lot of fan-favorite cards to summon that they appreciate from the anime series. Some cards are already used such as Vyon which can dump Elemental HERO Shadow Mist for a search or Elemental HERO Bubbleman for Miracle Fusion into Elemental HERO Absolute Zero. Vyon can also be used on Destiny HERO – Malicious if the Destiny HERO engine is played. A small engine consisting of 3x Silent Swordsman, Silent Swordsman Lv7, and Silent Sword Slash. 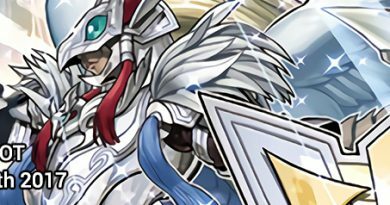 Due to the restrictions on the Extra Monster Zone it is not as feasible to have a r4nk along with a Masked Hero and so going Goblindbergh into Elemental HERO Shadow Mist will leave a Goblindbergh left on the field. If you run the Silent Swordsman Engine you will be able to tribute the leftover Warrior card to Special Summon Silent Swordsman who can protect your Masked HERO from a Spell Card effect. This can deter Raigeki or Dark Hole and if used correctly can cripple the opponent’s matchup if played smartly. The Silent Sword Slash can be pitched with Summoner Monk and then utilized to search out Silent Swordsman. This build looks to older builds like Toadally Heroes when it was possible to have Toadally Awesome along with a Dark Law however there must be much more resources allocated to making Mistar Boy first. This is still heralding back to before Master Rule 4 was introduced and it struggles to see consistent play in modern times. This usually means bumping Bubbleman to 3 and playing 3 copies of Tin Goldfish. That said, because of the strength of the r4nk cards the flexibility that this build can offer is quite large. To compete with the meta HERO decks are moving more towards maining various hand traps such as Ash Blossom & Joyous Spring and Ghost Ogre & Snow Rabbit. If you happen to draw multiple then you can make use of it by combining it with Goblindbergh and Synchroing into Black Rose Dragon. This is showcased in the 2nd deck profile as hand traps are the major form of control to combat the meta as opposed to waiting for traditional trap cards to come live. It does play a combination of both and sides into the traditional traps when going 1st which is a healthy balance that one should keep in mind when building a Masked HERO deck. It is also important to note that this rise in prominence of hand traps has caused Elemental HERO Bubbleman to see less and less play due to the difficulty in achieving his summoning condition. The HERO matchup against SPYRALs is actually quite prevalent given that Dark Law is able to effectively stop their combo in their tracks as they depend on utilizing the GY to get around it. They won’t even be able to utilize SPYRAL Sleeper because any SPYRAL cards that would be sent to the GY are banished instead. Unless they have sided outs such as Kaijus and board removal then the SPYRAL player will be forced to Link into a monster that can overtake Dark Law in attack. However, this is assuming that the HERO player doesn’t have Honest Neos in hand. Otherwise they will have to use something such as Borreload Dragon which may be extremely difficult to initially make unless a card such as Gofu is opened. Going second the HERO player is able to fit a lot of hand traps ready at their disposal to prevent SPYRALs from going off completely. It is important to note, however, that some SPYRAL players are starting to main or side SPYRAL Tough, a card that can out Dark Law if used correctly. The Pendulum Magician matchup can be difficult for HEROs. While Dark Law has traditionally been effective in Pendulum matchups due to his ability to stop the accrual of resources in the Extra Deck, this is somewhat less relevant now that the deck is less reliant on the face-up Extra Deck to maintain advantage. The banish on search can potentially also stop a Pendulum player, but only if they did not already have the proper resources. The main problem cards to watch out for in this matchup are Time Pendulumgraph and Purple Poison Magician. Purple Poison Magician is particularly notable as its destruction effect applies when it is destroyed, regardless of where the card is sent. This means it will still get its destruction effect if it is banished. This matchup is a largely dependent on the hand traps and side board. This is why you will see usage of Anti-Spell Fragrance, Imperial Order, and Unending Nightmare as there are few counters to this matchup main decked. The Silent Swordsman package can also be utilized as well. Trickstars are another matchup that favours itself as the burn can be very potent, especially after resolving A Hero Lives. Having a solid sideboard is what will help in the matchup as the main deck hand traps can hold you for game 1 and in later games the Silent Swordsman package is always quite effective. Thunder King Rai-Oh can also be useful because all of their cards fetch each other. Hand traps are crucial in this matchup as it can stop them from getting their combo pieces and your own hand traps such as Ash Blossom and PSY-Framegear Gamma can stop Trickstar Reincarnation and Droll & Lock Bird respectively. All of these 1-card engine decks are quite prone to hand traps and the deck itself is not able to recycle Invocation under Dark Law which is notable. Terraforming wants to search for Magical Meltdown which continues to search Aleister the Invoker who searches out Invocation. This can be shut down by Droll & Lock Bird and/or a well timed Ash Blossom. Aleister boosting is also overshadowed by the use of Honest Neos in HEROs which means that you don’t mind attempting to swing into your opponent’s monsters. In addition, most of your monsters outside of Honest Neos are the worst attributes for Aleister to fuse for, tipping the matchup in your favor even more. This is a great matchup because if you win the dice roll it is more or less a blowout. Dark Law banishing everything in GY doesn’t even give them a chance to build a board. If they get a setup with Toad on board turn 1 you can bait it out by attacking into it using Honest Neos or Mask Changing. They’re both control matchups but Paleozoics thrive on out-grinding the opponent with resource recycling while HEROs take away resources from their opponent by essentially blocking usage of the GY and deterring 1 search a turn. The main cards that they may use to counter you are Dimensional Barrier and Paleozoic Canadia. Fortunately, both of these are relatively temporary and incomplete outs. Dimensional Barrier can often be played around by simply switching to Xyz while Canadia needs to be followed up properly to actually eliminate Dark Law from the field. ABC is another matchup that is generally favorable when you are able to open up into a Dark Law. Additionally, the targeting effects of ABC-Dragon Buster means that the Change Cards can be used to avoid the banishing. If all of the pieces are automatically banished then they have no way of making Dragon Buster effectively. Once Dragon Buster is created it will be a tough matchup but having a DARK Hero, Honest Neos and Mask Change is enough to properly play around this situation. With the consistency of the deck there is a good chance you can open this hand (especially going 2nd) and all of the handtraps main decked will slow the opening turn 1 board strength. At the end of the day, the highest priority for the matchup should be to make sure that Dark Law stays out while the opponent is trying to grind using the various ABC pieces. I play Yu-Gi-Oh! to be ready in case someone tries to send me to the Shadow Realm. Even then all the theorycrafting and deckbuilding skills won't save me when I inevitably brick. Read my ramblings and you'll find yourself sitting at table 500 in no time.